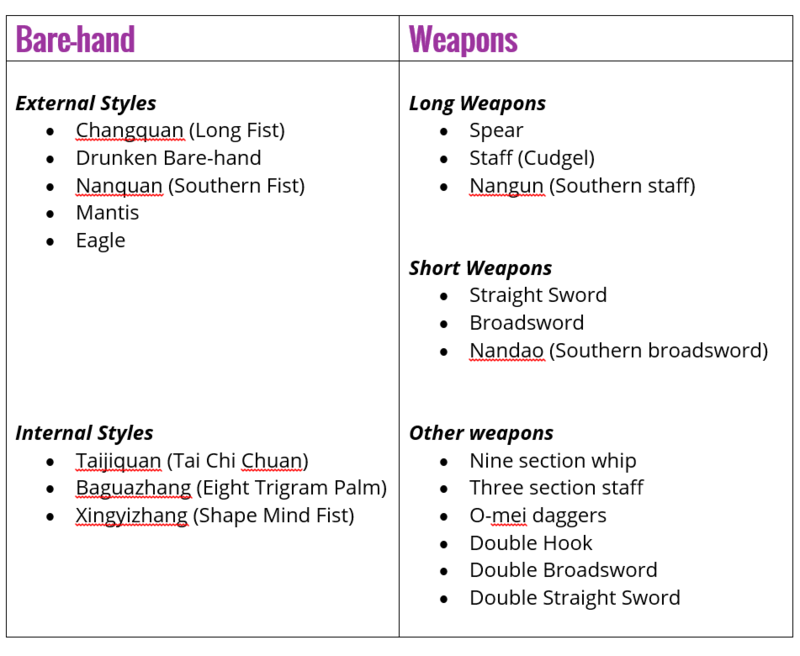 NOVA Wushu offers a number of different programs to its members. Our primary focus is Contemporary Wushu and Taiji, but we believe in supplementing the training with a wide assortment of more traditional forms and training methods. We take pride in our coaching staff and their ability to cater to all types of people from the young energetic competitors to the older health oriented students. We have programs and classes for all ages. Students can take unlimited classes and train with peers of the same experience level. Below are just a few of a long list of styles we do.